In keeping with our piCture pOlish goes geeky theme, I have another geeky nail art complete with a new language stamped upon a piCture pOlish. Lets just get right into it shall we? 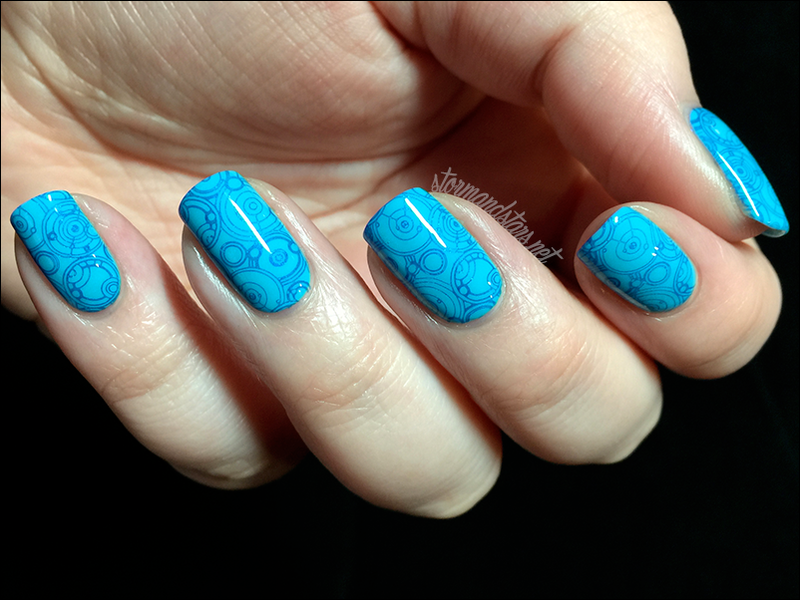 I started with a couple coats of piCture pOlish Instinct from my review post over here. I added a fast dry topcoat and let it mostly dry before moving on. 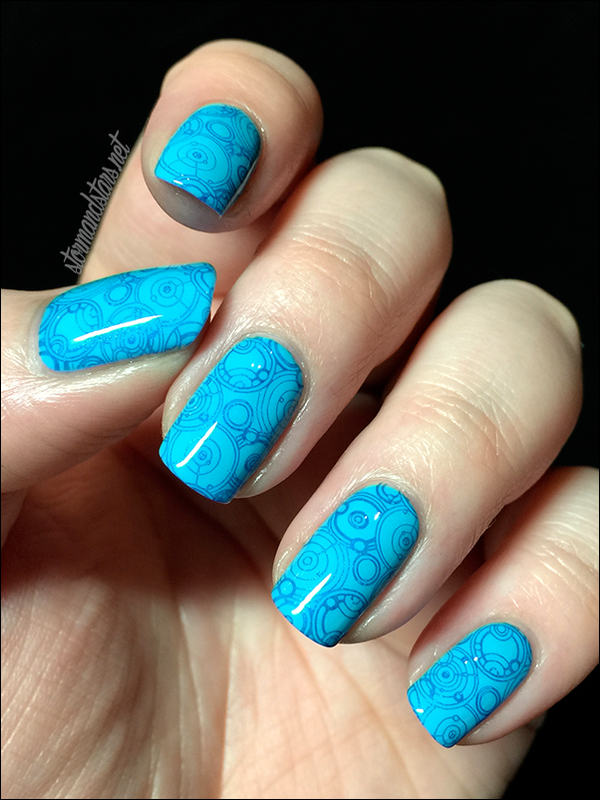 The polish is bright blue and my mind was already on geeky languages, so of course I reached for my Geek 05 plate again, and this time I used the Gallifreyan image. 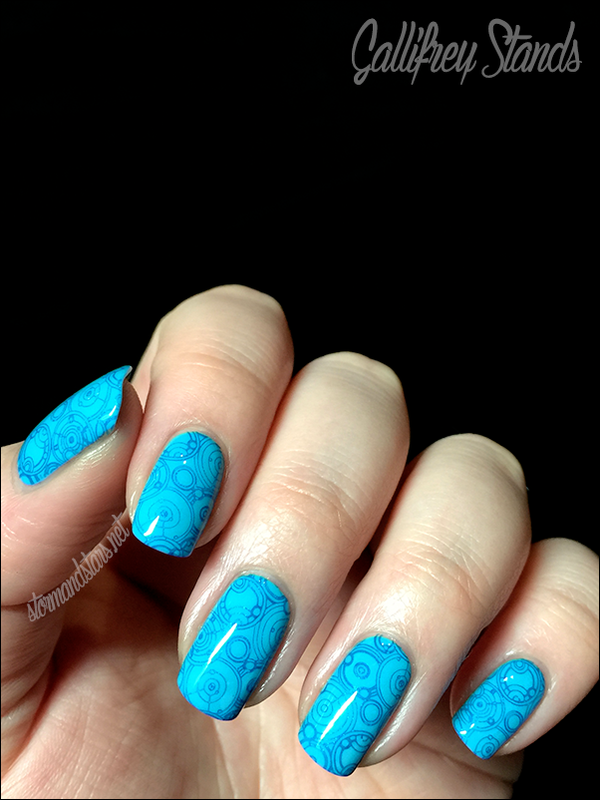 I used my squishy stamper and a deep metallic blue, Essie Aruba Blue to stamp on all 5 nails. Afterwards I added a coat of Seche Vite to seal it all in and make it shine. Essie Aruba Blue is available online in places like Amazon. You can purchase Instinct directly from piCture pOlish or from one of their International Stockists. Don't forget to follow on social media to keep up to date on new collections and the latest shades and swatches. 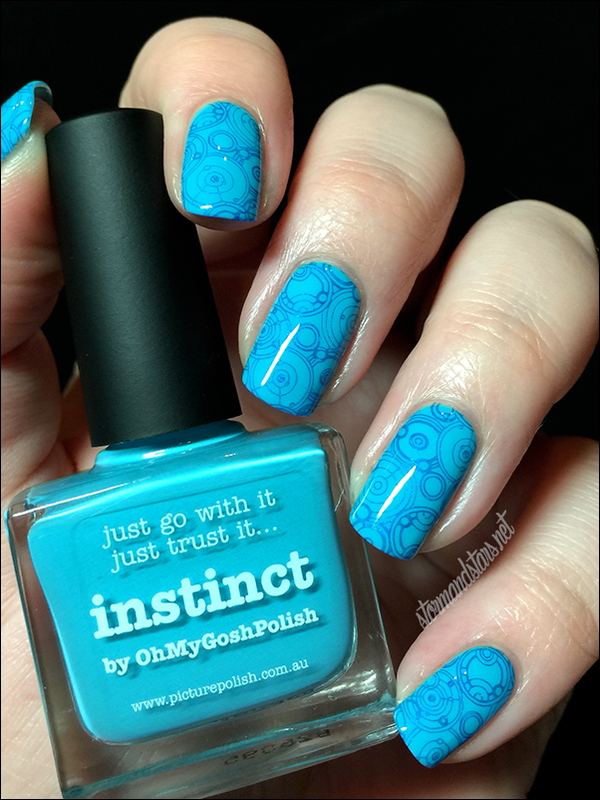 Instinct is a beautiful background, love the image too!